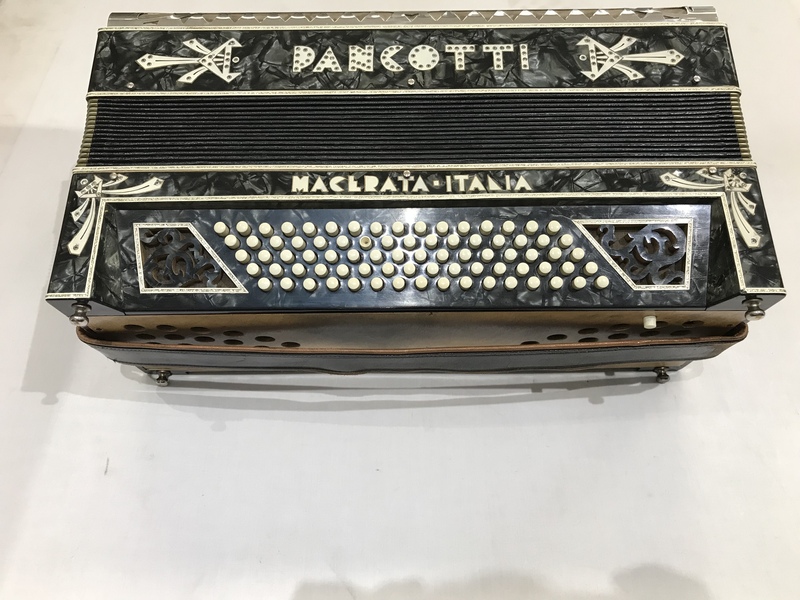 A pre-owned Pancotti 80 Bass Accordion – Spares or repair. 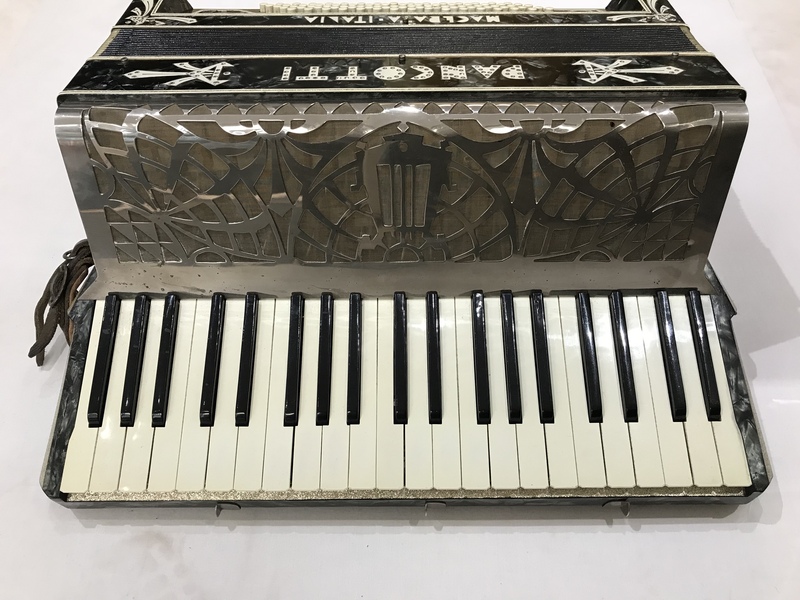 This vintage pre-war instrument was built in the Italian town of Macerata, most likely during the late 1930’s or early 1920’s, and is a very attractive looking accordion, featuring grey mother of pearl effect casework, and diamante decoration. 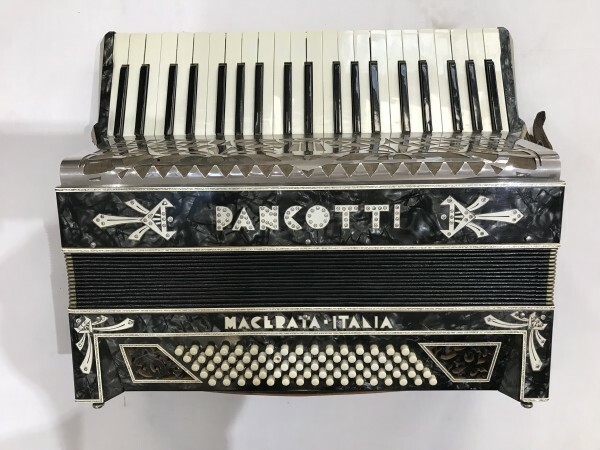 This Pancotti 80 Bass Accordion – Spares or repair, would be ideal for someone who is looking for a vintage instrument to work on or refurbish at home, or simply as an attractive and different looking decoration to place on a shelf at home or in an Italian restaurant etc! 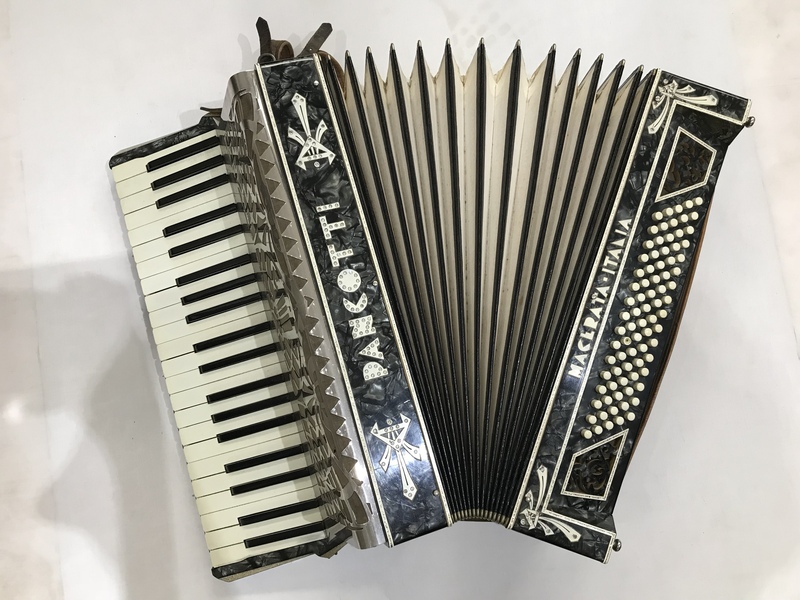 Due to these afore-mentioned issues, no guarantee is offered of implied, and the accordion is sold as seen.